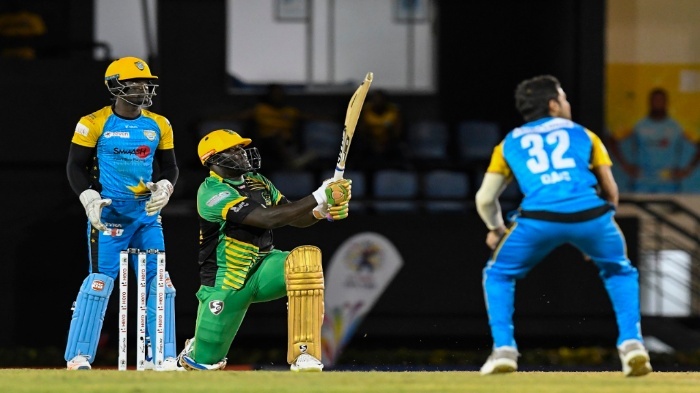 Jamaica Tallawahs put their Florida disappointment behind them and got back to winning ways in the Hero Caribbean Premier League (CPL) with a 21-run victory over St Lucia Stars at the Daren Sammy Stadium, on Saturday night. After a three-game winning run to start the season, the Tallawahs had lost all three of their games at Lauderhill. A trip to St Lucia to face the Stars enabled the Tallawahs to get back on track as batting first, after winning the toss, they made 204 for five off their allotted 20 overs. St Lucia Stars, chasing a victory target of 205, were restricted to 183 for eight. Rovman Powell’s high-class 64 from 37 balls set the platform before some late hitting from David Miller (32 not out from 13 balls ). And despite the best efforts of superstars David Warner and Kieron Pollard, the Stars were always struggling after losing two wickets in the first two overs. The decisive moment, fittingly, pitted skipper against skipper in the battle of the big all-rounders as Andre Russell bowled Pollard for 46 from 27 balls to leave the Stars’ lower middle-order just too much work to do. Kenar Lewis of Jamaica Tallawahs hits a six as Andre Fletcher (left) and Qais Ahmad (right) of St Lucia Stars watch. (PHOTO: CPL via Getty Images). The Stars had shuffled their pack again for the run-chase and came up with Mark Chapman as opening batsman as well as bowler. His two overs with the new ball had cost 25, and he fell to the second legal delivery he faced with the bat, carving Oshane Thomas to third-man to be brilliantly caught just above the turf by Adam Zampa. Rahkeem Cornwall fell soon after, trying and failing to hit Imad Wasim over Russell at mid-off to leave the Stars eight for two. Andre Fletcher and David Warner rebuilt in a busy partnership of 44 before Fletcher slogged Powell’s first ball of the night high into the St Lucia sky to give Russell a second catch of the innings. That brought Warner and Pollard together. They added 45 in just four overs, but just when it looked like a Stars win was a real possibility Warner was gone. Zampa’s first over of the night, the 11th of the innings, had yielded 16 runs from the first five balls before he struck gold with the sixth as Warner top-edged a sweep and was well caught on the run by Johnson Charles at short fine-leg. 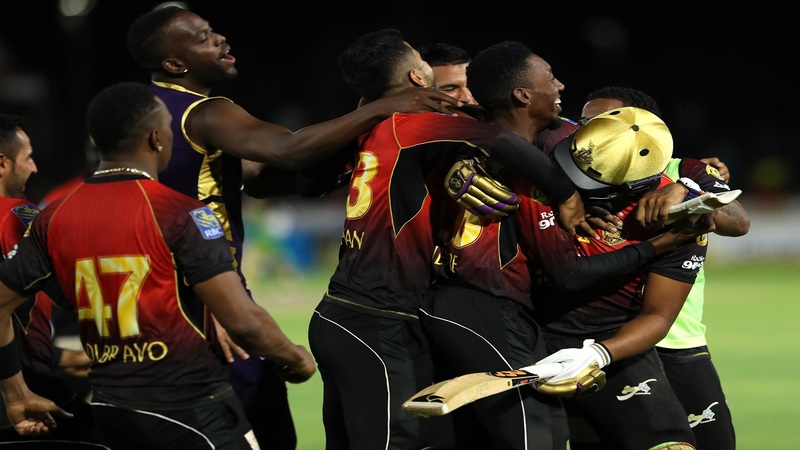 The Stars came again, though, with a target of 89 from the last six overs whittled down to 54 from four as Pollard hit Zampa for two sixes and a four before Lendl Simmons joined the fray with a carved six followed by two fours off Oshane Thomas. Enter Russell to turn things decisively back the Tallawahs’ way, removing Pollard and then adding Daren Sammy’s wicket for good measure. Simmons continued to flay his way to 45 from 26, but was by now fighting alone. The task was just too big with 26 needed from the final over, and he ran himself out in a desperate quest for the strike with 24 needed from four deliveries. Thomas picked up his second wicket of the night when Qais Ahmed was caught behind off the final ball of the match with the Stars still 22 runs short of their target. 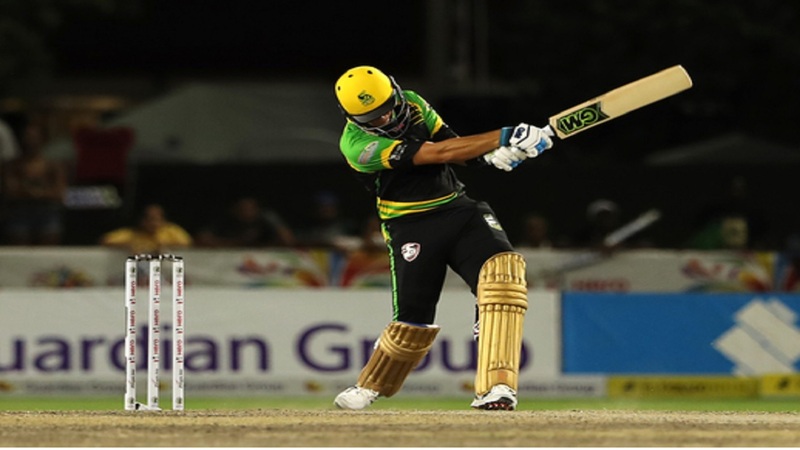 The Tallawahs’ innings was given a fast start by Glenn Phillips, who faced only eight ball but sent three of them to the boundary in his 17, while Charles made 34 from 24. Kennar Lewis then offered the free-flowing Powell solid support in a 100-run stand for the third wicket before Miller provided the finishing touches. Kesrick Williams picked up three wickets – including the dangerman Russell for just five – and could have had four had he not overstepped when having Charles caught at point. Obed McCoy, though, was arguably the pick of the attack, taking out Powell at a time when he could have gone berserk, and the only one of the seven bowlers used by Pollard to return an economy below eight. SUMMARIZED SCORES: Jamaica Tallawahs 204/5 (Powell 64, Charles 34, Lewis 33, Miller 32*, Williams 3/34) beat St Lucia Stars 183/8 (Pollard 46, Simmons 45, Warner 42, Russell 2/15, Thomas 2/27) by 21 runs. Sunday, August 26 – Barbados Tridents v Trinbago Knight Riders (6pm), Kensington Oval. 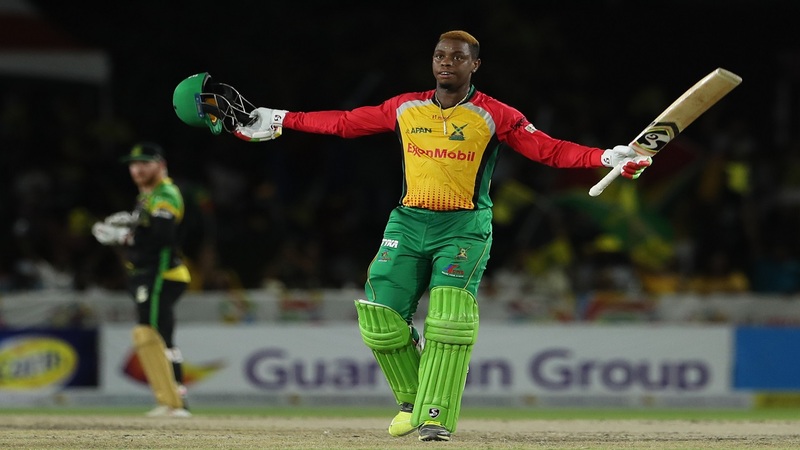 Tuesday, August 28– St Kitts & Nevis Patriots v Guyana Amazon Warriors (6pm), Warner Park.